DWS Group GmbH & Co. KGaA, the asset management arm of Deutsche Bank AG, announced Tuesday it will begin using technology by New York-headquartered real estate startup Skyline AI Ltd. to manage its real estate investments. DWS reports assets valued at 700 billion euros under management. Skyline AI uses machine learning technologies to analyze data from more than 130 sources and find gainful real estate deals by factoring parameters including asset condition, management quality, and access to public facilities. 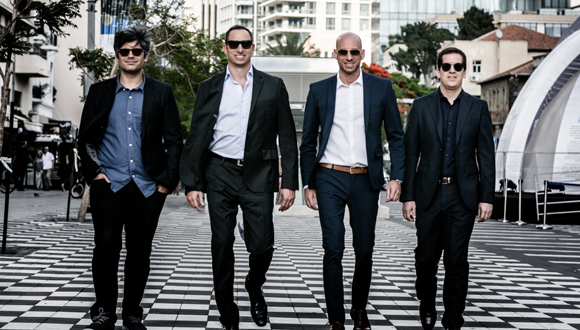 The company was founded in 2017 by four Israeli entrepreneurs who previously founded video content startup StreamRail Ltd., acquired by Israeli software and app monetization company IronSource Ltd. in 2016. The company raised $21 million to date from investors including Sequoia Capital Israel and TLV Partners. Skyline operates offices in New York and Tel Aviv.